After last month’s brilliant first trailer, expectations for Taika Waititi’s Thor: Ragnarok are pretty damn high. In particular, fans loved the (not so) surprise appearance of the Incredible Hulk at the end of the preview, so it’s no surprise to see Mark Ruffalo back to do some reshoots to add a little more of that green-skinned goodness to the film. Anyone familiar with Marvel movies (and, let’s face it, most big blockbusters these days) will know that reshoots are just part of life. Years ago, it’d be a sign that something was going wrong on the production and the studio had stepped in to fix it, but now, bringing back your A-listers and inserting complex effects sequences is de rigeur. 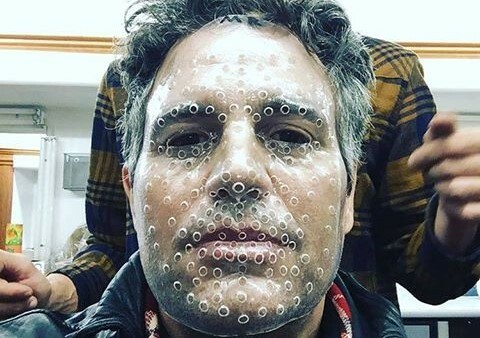 The information on Ragnarok‘s reshoots comes courtesy of a post on Ruffalo’s Facebook page, showing him in the makeup chair waiting for the motion-capture dots to be applied to his face and the caption: “Hello old friend. The incredible green behemoth comes around again. Prepare thee for Ragnorok [sic]”. It’s one of the strange paradoxes of modern superhero movies that, while the Hulk apparently cannot lead a film as its principal character, he’s a fantastic supporting hero and makes for great comic relief. He’s one of the best things in The Avengers and Age of Ultron and we’ve got our fingers crossed that he’ll knock us dead once more later this year. Can Thor: Ragnarok finally shine as an unambiguously great Thor movie? We’ll find out pretty soon, as Marvel’s threequel hits theatres on November 3rd.